Dear Catholic Parents, please click here to submit your particulars. Thank you. Find out more about what your child is learning in Social Studies by watching this video. This year, our Primary Six girls went to Malacca for an Overseas Learning Journey in Term 1. The school celebrated International Friendship Day (IFD) on 10th April 2019. The Primary 5 students went on a nature trail to East Coast Park in Term 2. Staff, students, members of the IJ Board of Management and members of the IJ Homes & Centres Management Committee had the privilege of being a part of the CHIJ 165th Anniversary Forum held on 9 March. 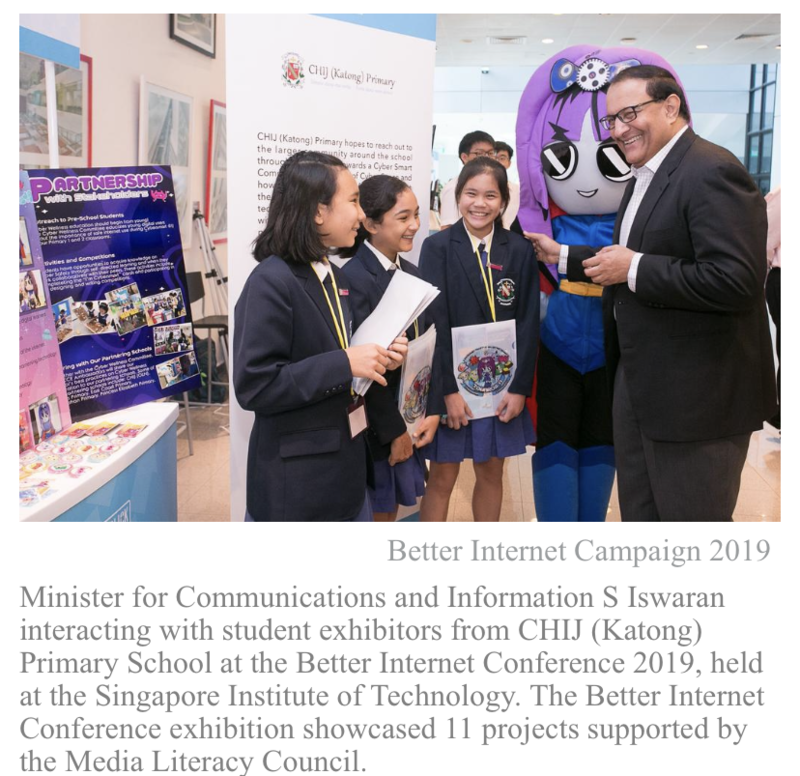 Our Cyber Wellness Team was honoured to be invited to participate in the inaugural Better Internet Conference 2019 on 11 March. CHIJ (Katong) Primary commemorated Safer Internet Day (SID) on 20 February to promote safer internet usage. The Primary 1 students visited the Learning Gallery at the Singapore Art Museum for their learning journey in Term 1. On 15 February, we celebrated our first Family Mass for 2019 together with the parents of our school. On 28 January, the Primary 6 pupils took a break from school lessons and visited the Science Centre for a Learning Journey. On 14 February, the Primary 4 students went to Gardens by the Bay and had a good time going through the Mathematics and Science Trail. Click here to find out more about the 2019 Sexuality Education Programme. Please click here for details on the Sexuality Education Programme 2019.